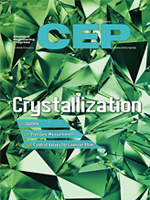 This month's cover story focuses on the basics of solid-liquid equilibrium as the foundation for crystaliization process development and how to use SLE data in designing a feasible process. Other topics include pressure measurement and sizing control valves for lab-scale laminar flow. Use a phase diagram to identify the best temperature, pressure, and composition conditions, as well as the optimal sequence of process operations to achieve a desired crystallization. BioClosure® container closures seal glass, metal, or plastic bottles and containers used in chemical, laboratory, biotech, and pharmaceutical applications. Available in platinum-cured silicone or biopharmaceutical grade TPE. Made in USA. BORSIG Process Heat Exchanger GmbH supplies transfer line exchangers, process gas waste heat recovery systems and scraped surface exchangers for the chemical and petrochemical industries. The BORSIG Transfer Line Exchangers are the result of more than 45 years experience and about 6,000 units installed worldwide. We offer BORSIG Linear Quenchers (BLQs) and BORSIG Tunnelflow Transfer Line Exchangers depending on the customer´s plant concept. Swenson Technology is a global leader in the design and supply of chemical process equipment for separation. We specialize in designing and installing innovative systems to convert liquid solutions into dry solids using evaporation, crystallization and drying. We can handle any project scope - from process development, engineering studies and packages, to equipment supply as individual components, modules, complete systems and turn-key installations.